Park Lane Jewellery Fundraiser to raise funds for local Coomera Mum Natasha to use towards her ongoing medical expenses since her cancer diagnosis 2 years ago. 50% of jewellery sales will go to support Natasha. 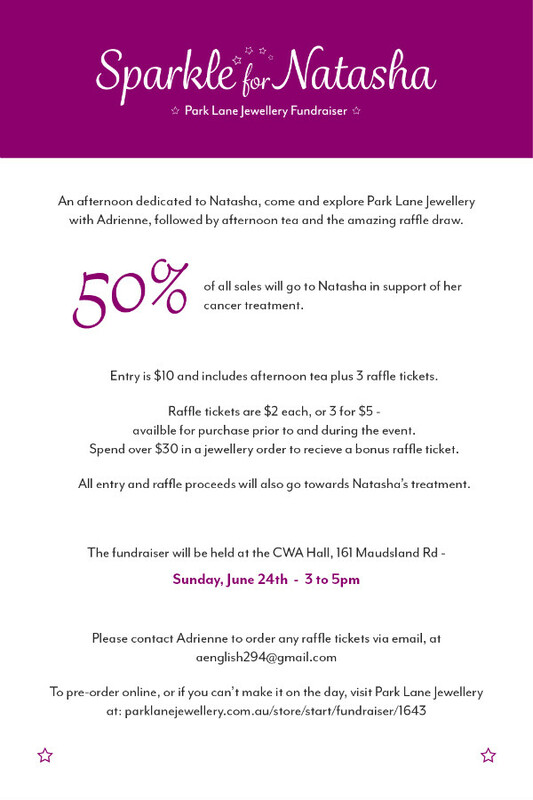 $10 entry includes 3 raffle tickets and afternoon tea with all proceeds from door entry and raffle going to Natasha.